Numbers notably don’t indicate whether it’s the business owners or if the businesses themselves are sad. In an attempt to ease plummeting business confidence, the not-Labour-led Government says it plans to spend some of its unexpectedly large surplus on therapy for those business owners who are not feeling so confident right now. 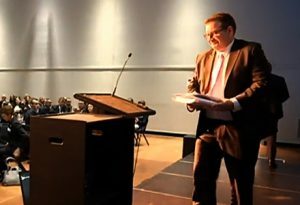 Finance Minister Grant Robertson said he was “deeply saddened” to see how much confidence business owners had lost over the last year, and the Government wanted to do something to help. Robertson said the Government would target business owners with the lowest confidence for a “full round” of counseling sessions, and set up a helpline for any other business owners not feeling optimistic about either themselves or the long-term fiscal outlook of the nation’s finances or economic growth. National has scoffed at the plan, but also said some things about it.